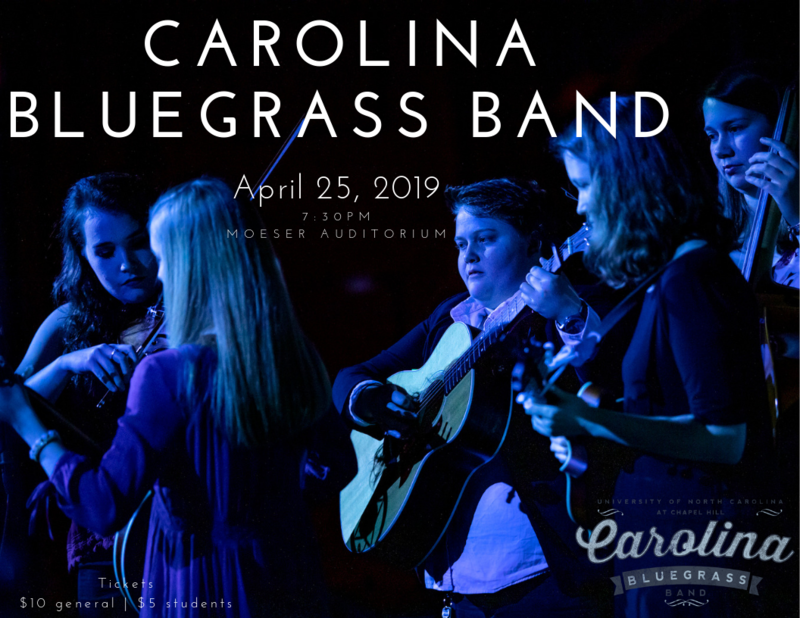 Home / Featured / Welcome, Kenan Music Scholars Class of 2022! Welcome, Kenan Music Scholars Class of 2022! Ayman Bejjani (violin) is a first year student from Holly Springs, N.C. Ayman started playing the violin at the age of 4 and has studied with several distinguished teachers including Yoram Youngerman, Eric Pritchard, and Dovid Friedlander. In 2011, Ayman joined the UNC-based Mallarmé Youth Chamber Orchestra (MYCO). MYCO played a critical role in Ayman’s musical development: it instilled in him a passion for chamber music and taught him the joy and the challenges of collaborative music making. He served as concertmaster of the MYCO chamber orchestra for several performances and participated in master classes with the Tokyo String Quartet, the Parker String Quartet, the Ciompi Quartet, violist Atar Arad and violinist Joseph Lin. Ayman has also explored the orchestral repertoire through his association with the Triangle Youth Orchestra, where he served as co-concertmaster, and more recently with the Triangle Youth Philharmonic. 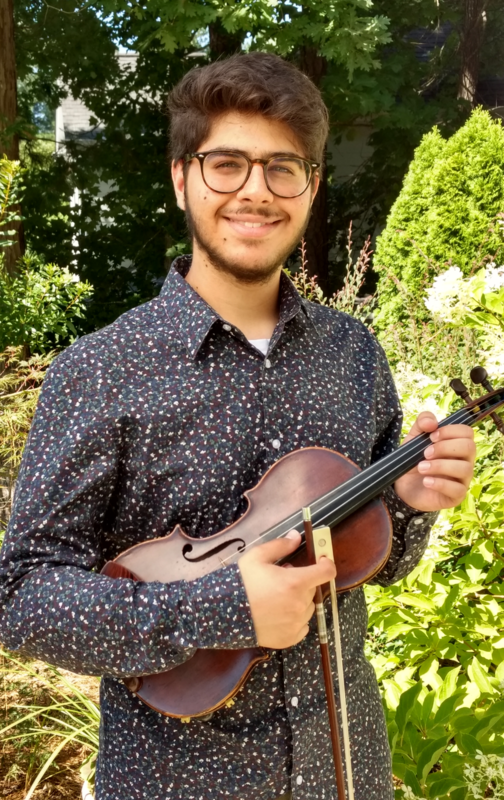 Ayman thoroughly enjoys exploring various musical genres: he played the violin in his high school’s broadway musical orchestra and the clarinet with his school band, where he qualified for the all-district honor band. He occasionally picks up his bass guitar to dabble in funk and jazz. Ayman is a student of Nicholas DiEugenio. 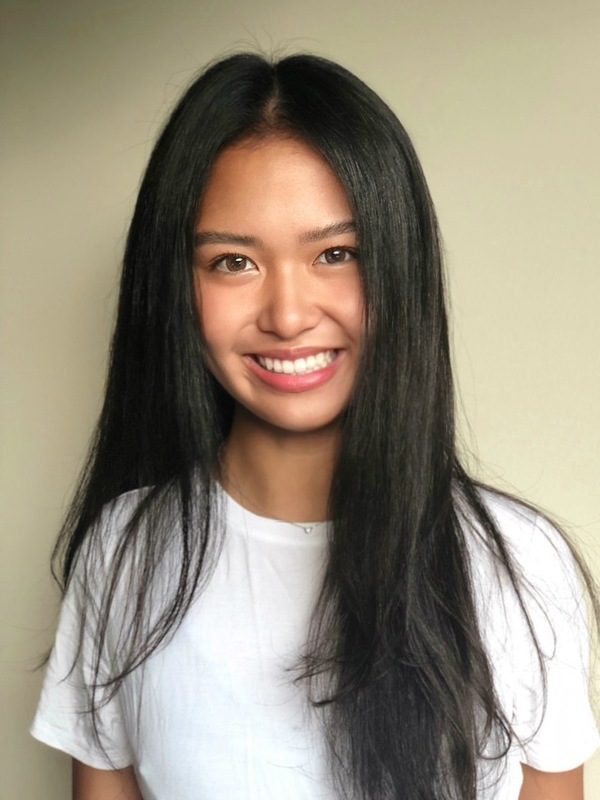 Shannon Chen (piano) is a first-year student from Atlanta, Georgia. She began studying the piano with Fred Xiang at the age of six and with Dr. Elena Cholakova at age 13. The Georgia Music Educator’s Association and Georgia Music Teacher’s Association Piano Competitions awarded her multiple 1st, 2nd, and 3rd place prizes between 2012 and 2018. Throughout high school, she has been an active member of the Georgia All-State Orchestra and Emory Youth Symphony Orchestra. In the summer of 2016, Shannon performed Beethoven’s Pathetique Sonata and Liszt’s Un Sospiro for Mack McCray and Shen Lu at Lee University’s International Piano Festival. The same year, Shannon also attended the Georgia Governor’s Honors Program, studying with Dr. Howard Hsu. In 2017, Shannon participated in chamber and quartet studies at the Stringwood Music Festival under the instruction of Roberto Díaz and Geoff Nuttall. She performed six concerts across the state of Minnesota in two weeks. Shannon wishes to pursue a double degree in business and piano performance. Shannon is a student of Clara Yang. Elijah Freeman (jazz saxophone) is a first-year student from Matthews, NC. He is a jazz tenor saxophonist self-taught in the language of jazz and improvisation. He has performed with the Jazz At Lincoln Orchestra and the Ellis Marsalis Quartet. 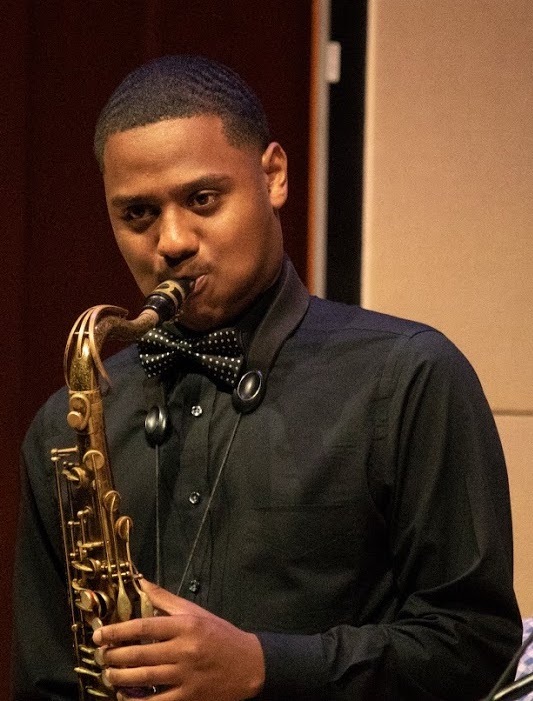 Elijah is an active musician in the Charlotte, NC jazz scene. He recently returned from a summer in New Orleans where he was hired to play with the Jazz Arts All Stars. Elijah is a student of Aaron Hill. James Larkins (composition) is a first-year student from Fayetteville, N.C. 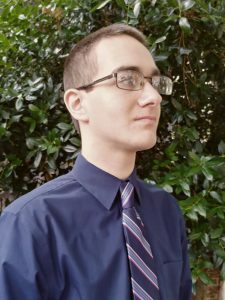 Initially a cellist by training, James quickly gained an interest in music theory and composition, which he began teaching himself while continuing to mature as a cellist. 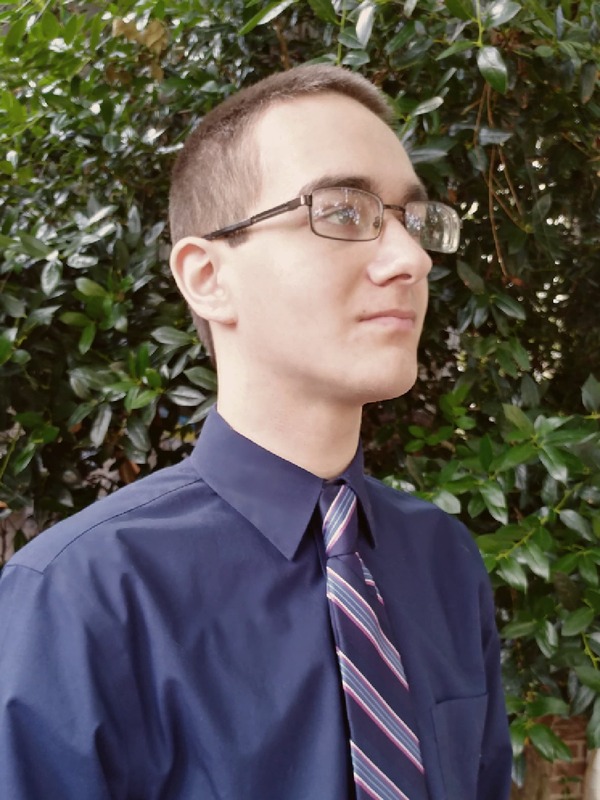 While attending the North Carolina Governor’s School in 2017, he performed for the premier of an untitled work of his own for two violins and two cellos during an interdisciplinary assembly in which the relationship between a computer graphics algorithm and rhythm were explored. At the North Carolina School of Science and Mathematics, James completed coursework for music theory classes under the supervision of Scott Laird and the winner of the 2016 Grammy Music Educator Award, Philip Riggs, and continued writing works in styles as wide-ranging as impressionism and dodecaphonic neoclassicism. James studies composition with Allen Anderson and cello with Brent Wissick.